A noble vine variety, rich in history and charm, characterized at the same time by power and elegance. The first of a great number of documents where the Nebbiolo grapes are mentioned and described, dates back to the 1st century A.D.
A noble vine variety, rich in history and charm, characterized at the same time by power and elegance. 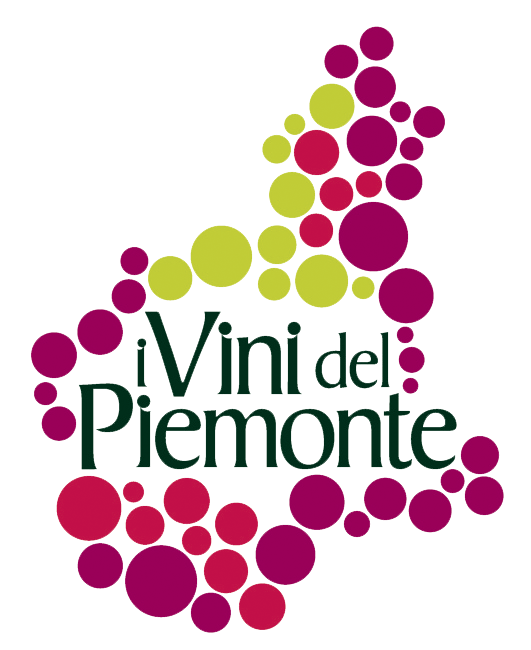 All these traits convey a great number of variations, each one a remarkable sign of each of the many areas in the Piedmont region where it is grown. It is a fragile grape variety, with slow ripening which, influenced by the different microclimates, soils and traditions, gains not only different structures and perfumes but also different names. In the areas of Langhe and Roero, the Nebbiolo vine variety can be found in a good 32 municipalities: those on the right of the Tanaro River transform it, according the procedural guidelines, into the prestigious DOCG Barbaresco and Barolo and in the DOC Nebbiolo d’Alba, while those on the left bank of the river turn it into the fresh and perfumed Roero DOCG. The Nebbiolo d’Alba DOC was born on 27th May 1970. In each variety, it becomes a precious and magnificent wine with aging. We love to define Nebbiolo as a “Poker of emotions: powerful, intense, fruity and long-lived”. The origin of its name probably refers to the dawn mists in autumn, in fact Nebbiolo recalls “nebbia”, fog in Italian. The first of a great number of documents where the Nebbiolo grapes are mentioned and described, dates back to the 1st century A.D.: in the agricultural essay De Re Rustica, it’s defined by the Roman author Lucio Giunio Columella as a grape variety with “bunches of black grapes that produce wine from cold places”. Still defined in the registration for its production as “Nibiol”, in 1303 Pier De’ Crescenzi described it as “…a sort of grape called nubiola…it is marvellously winey…it doesn’t tolerate the shadow… and it produces a wine to save for special occasions… and this is abundantly grown in the city of Asti and its surroundings”. This grape variety owes its reputation to the Savoy family: in 1606 Giovanni Battista Croce, jeweller of the royal family, describes it in his essay as the only wine preferred by the aristocracy. But it was only with the help of Count Camillo Benso of Cavour, that the grape variety Nebbiolo acquired its current fame: in 1830 Cavour called on the French oenologist Odart to improve the production processes, thus creating the King of wines, Barolo. Despite the damages made by the phylloxera, it was possible to continue growing Nebbiolo in the areas we know today. Other expressions of this grape variety which deserve to be mentioned are the DOCG Ghemme and Gattinara, real oases in the north of Piedmont, between the cities of Vercelli and Novara. Nebbiolo is here known with the name “Spanna” and the soils, less chalky and clayish compared to those of Langhe, together with the rocks and the different weather conditions, produce refined wines with a fruity and mineral bouquet, and gentle tannins. The other denominations worth mentioning are Boca and Carema, known for their intense undertones, with hints of red berry fruits in alcohol, white pepper and cocoa. This grape variety also leaves its mark in the Valtellina area: it is here that Chiavennasca emerges among the terrains that furnish the mountains, with its perfumes of flowers and flinty hints which recall intense sensations of freshness and tanginess. This grape variety has been included among the best thanks to its aging capability: the colour from ruby becomes more orange and the fresh flowers turn into hints of boisè spices, vanilla, liquorice, coffee, cinnamon and nutmeg. The structure is modified by the transformation of the tannins, which evolve into an everlasting and pleasant tingling. In Italy no other grape variety can boast such an intrinsic bond with the territory as Nebbiolo. In fact, if it is moved and planted outside Piedmont and Lombardy, it does not find neither identity nor soul, both because of the plant structure and for the long period the grape clusters need to reach their full ripening. A bright ruby red, in which one can see one’s reflection. With the time, the brick red borders form a romantic frame. At the nose, ethereal perfumes of sweet red berry fruits like raspberry, currant and blueberry, are joined by more toasted fragrances such as hazelnut, tobacco and coffee. With refining, there still remain hints of dry flowers, groundcover and anise, and delicate and deep flavours which remain a while on the palate. The pairing with the traditional products of this territory are certainly the most suitable, as if nature had magically created them to be matched. Perfect with the so called “ravioli al plin”, small pasta envelopes with a filling of meat, and the tabarin, another traditional kind of pasta, with a truffle flavour. It can also be perfectly paired with second courses made with red meat from Piedmont, with salty ricotta cheese and the DOP cheeses Murazzano, Toma Piemontese and Bra.